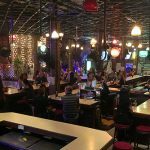 If you are planning to celebrate New Year’s Eve in Thailand you basically have two options: Taking it easy and romantic on a nice beach or in some laid back provincial town or joining the country’s biggest and most exciting party in the capital Bangkok. The most popular places in town to celebrate are Central World (where they have the biggest fireworks), the Sky Bars, Khaosan Road, Chao Phraya River, Sukhumvit Soi 4 and the night clubs. Obviously it does make sense to book a hotel that’s within easy walking distance to one of these party hotspots so you don’t need to rely on taxis that barely use meters on that night or the overcrowded public transport. 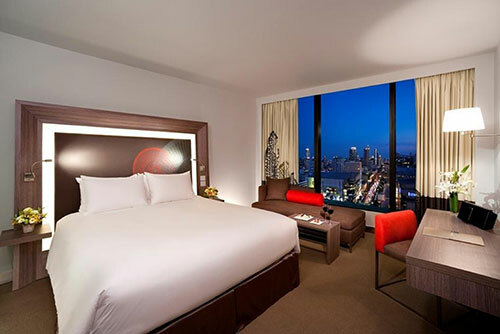 Below is the list of the 5 best hotels for New Year’s Eve in Bangkok. Make sure you check the availability as soon as possible (click the link below the listing) to make sure you don’t miss out the deal. Situated in the heart of downtown Bangkok, Novotel Bangkok Platinum Pratunam is located just a few minutes walk from Central World Shopping Center – the host of BKK’s official countdown party and scene of the biggest fireworks. With high comfort and technology, the hotel makes a perfect choice for your New Year’s Eve Trip. 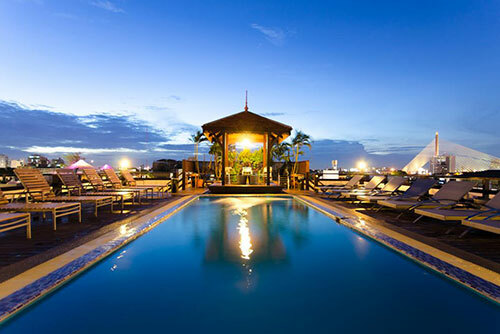 It has 283 well designed rooms and some of the various amenities include two bars and one restaurant, swimming pool, fitness center, five multi-purpose meeting rooms, fast Wifi internet and indoor car park. Located on the corner of Sathorn and Rama IV Roads, Sofitel So Bangkok is an intrigue-steeped 5 star hotel with a resolutely contemporary outlook. It even claims to be the city’s first truly urban hotel, bringing together elegant French luxury and warm Thai hospitality. 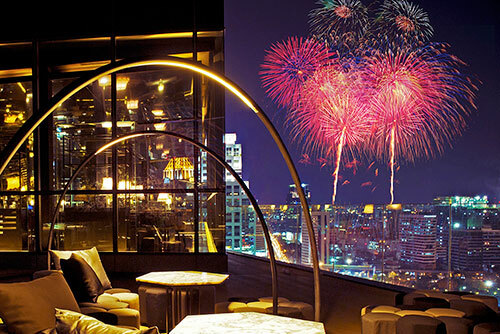 The Sky Bar on the 29th floor is called “Park Society” and has maybe the most amazing views of the fireworks in the city since the hotel is located at the southern end of Lumpini Park and you have the impressive city skyline right in front of you. If you’re planning to join Bangkok’s loudest, wildest and longest New Year’s Eve party on Khaosan Road, then the Khaosan Palace Hotel might be exactly what you are looking for. Finding a decent accommodation in Khaosan is quite difficult. Most of the cheap and often more-than-basic guesthouses cater to the backpacking folk while this 3 star hotel right in the center of the strip gives you by far the best value-for-money option in the area, so make sure you check for availability and discounts right away. 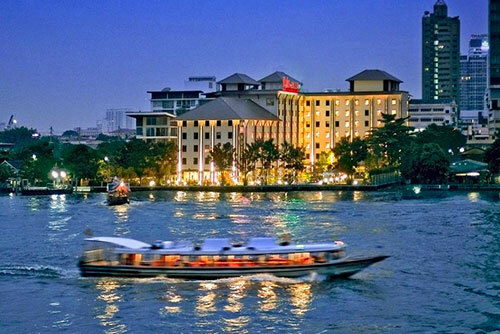 One of the most romantic sites to countdown to New Year in Bangkok is the Chao Phraya River – and the Ibis Bangkok Riverside is one of the most popular hotels here. This is actually one of the very few decent hotels along the river that are not expensive 5 star hotels – it offers excellent value-for-money. There are 266 rooms all featuring wooden flooring and brightly colored walls, satellite TV, minibar and a work desk. Some of the hotels amenities include an outdoor pool, a free shuttle to Krung Thonburi BTS Skytrain Station and a tour desk. 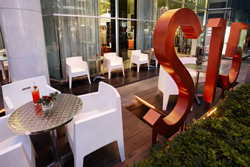 If you enjoy partying in nightclubs or are still undecided on where to spend your New Year’s Eve in Bangkok – the S15 Sukhumvit Hotel is an excellent option. 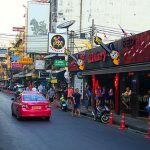 It has a prime location in the infamous Nana district in the heart of Bangkok and it’s just a short five minute walk to the popular Sukhumvit Soi 4 (lots of bars) as well as the Asok BTS and Sukhumvit MRT Station so getting around is very easy. Each of the elegant rooms and suites is spacious and features new TVs with cable/satellite channels, Wi-Fi Internet access, fully stocked mini-bar as well as a private bath with separate rain shower.